Have I mentioned recently how much we love printable clip cards? LOVE, I tell you! Today, I have a set of Vegetable Beginning Sound Clip Cards to share with you. 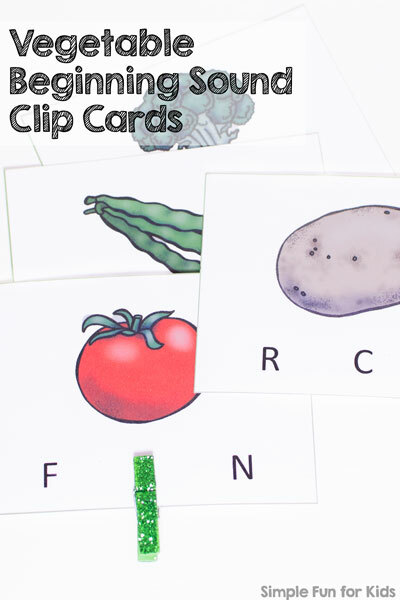 It goes perfectly with our Vegetable Addition Clip Cards if you’re working on a vegetable or nutrition theme. The file contains four pages with four clip cards each. Images used are tomato, broccoli, potato, beans, pepper, zucchini, eggplant, spinach, pumpkin, mushroom, cucumber, peas, garlic, carrot, lettuce, cabbage. I’ve included an answer key just in case there’s any doubt about what any of the images are supposed to be. 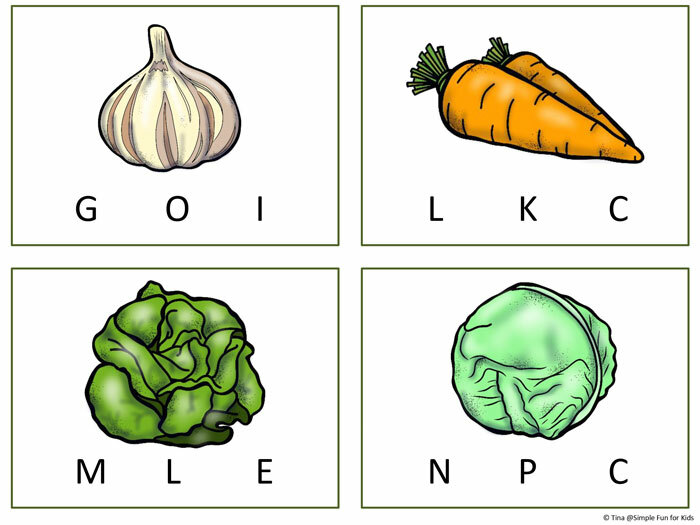 Print the pages, laminate them, cut the cards apart, and provide clothespins to mark the correct beginning sounds for each vegetable shown. Or leave the pages intact and use your child’s favorite method of marking, like crayons, dot markers or manipulatives. We’ve also used the cards for practicing alphabet order. It was a little tricky, though, because my preschooler couldn’t make sense of some of the sounds that come after the beginning sound, like the “ea” in peas or beans. I didn’t think of this use when I made the cards, you can easily omit the tricky cards, though. Download your Vegetable Beginning Sound Clip Cards! 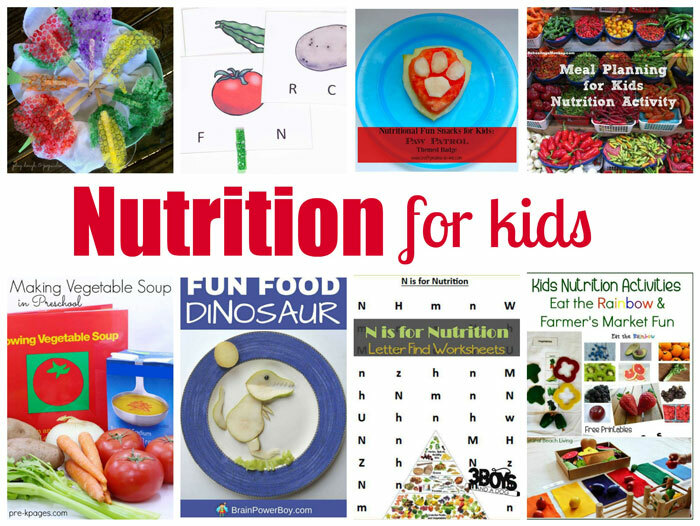 Are you working on a nutrition unit study? Check out these posts!